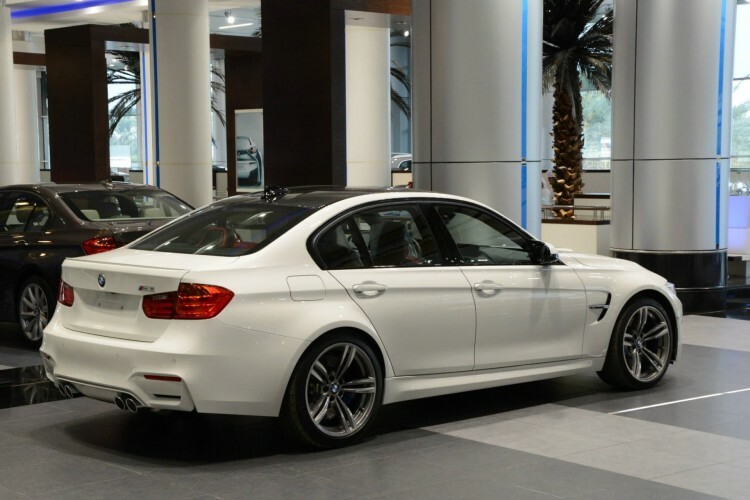 While most of the European and U.S. dealerships won’t get their first M3 and M4 models until June, Abu Dhabi Motors already has a new M3 in stock. The 2014 F80 M3 comes painted in the Alpine White color with a Sakhir Orange leather interior. 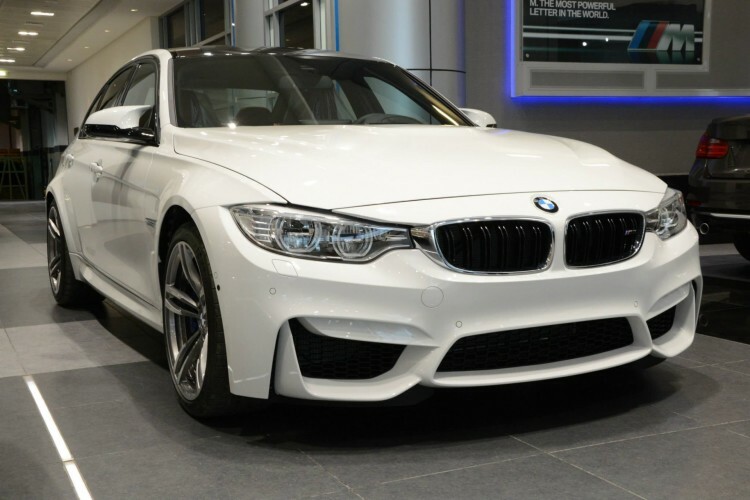 Instead of the manual transmission, the Alpine White F80 M3 uses the 7-speed DCT and comes equipped with all options available in the ordering catalog. No pricing was mentioned for this special M3, but one can assume is quite high. 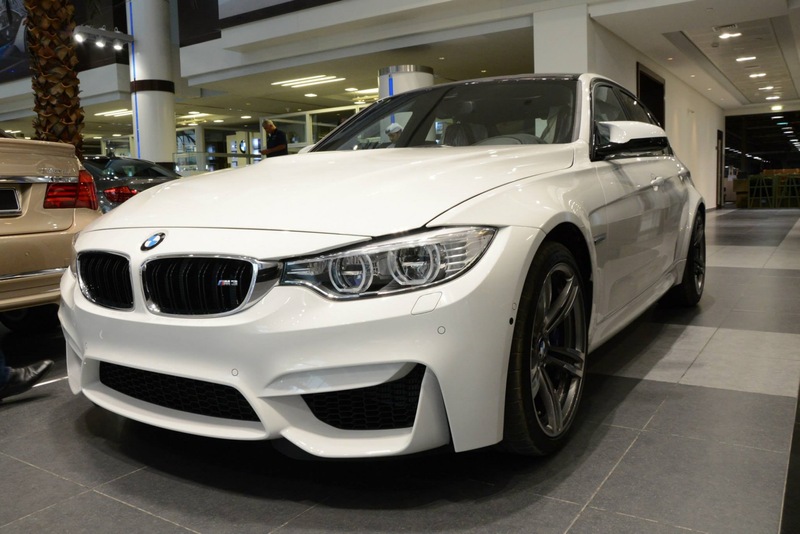 In the U.S., the F80 2015 BMW M3 Sedan will cost $62,000 and 2015 BMW M4 has a base price $64,200. Destination and handling is $925. After ditching the amazing V8 naturally-aspirated engine, the new M3 and M4 use a 3.0 liter turbocharged engine that produces 425 HP and 560 Nm (413 lb-ft) of torque. The car weighs under 1,500 kg (3,300 lbs). From 0-100 km/h (0-62), the 2014 BMW M4 runs in 4.1 seconds with DCT while the M3 runs the same distance in 4.3 seconds, with the same transmission. Here are the full engine specs.